Led by Mayor Sylvester Turner, Houstonians gathered last week on the grassy banks of winding Buffalo Bayou to celebrate the life and work of Terry Hershey, the legendary conservationist who died in January at 94. The site near downtown was a fitting location for five bur oaks to be planted in Hershey’s memory beside the bayou – the Bayou City’s most renowned – because she is credited with playing the leading role in saving it from being turned into a straightened, concrete-lined canal as part of a flood-control scheme. In the late 1960s, Hershey teamed with the prominent Houston businessman and philanthropist George Mitchell to persuade former President George H.W. Bush – at the time, representing a Houston district in the U.S. House of Representatives – to oppose the plan and preserve Buffalo Bayou in a natural state. Bush would famously call Hershey “a force of nature for nature” – a memorable description remembered at the tree-planting ceremony. But saving Buffalo Bayou as a natural and now park-bordered stream, including one park bearing Hershey’s name, was far from her only accomplishment. Among the many others: She organized an initiative in the 1970s to add parks to Houston, then a boomtown with far less park acreage, per capita, than many other cities. She founded enduring Houston conservation groups. 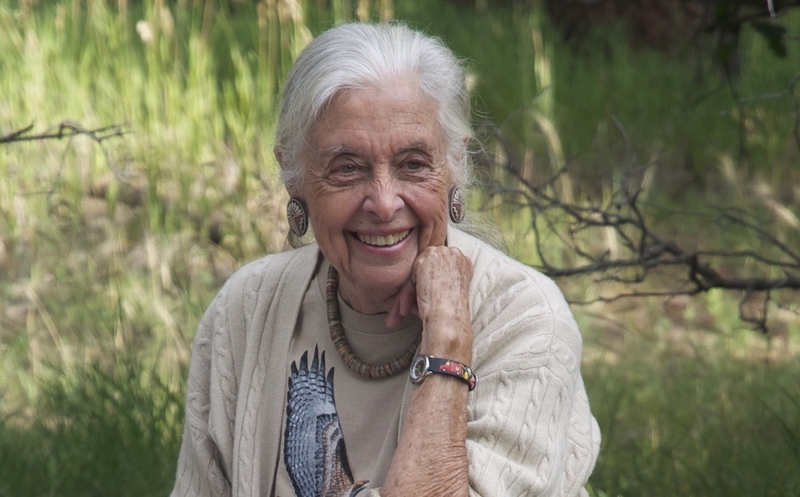 As a member of the Texas Parks and Wildlife Commission, she championed both state parks and use of the conservation easement, a legal instrument that helps landowners protect wildlife habitat on private property. In 1995, I was the Houston Chronicle’s environment writer and decided to mark that year’s 25th anniversary of the first Earth Day by interviewing Hershey, then serving on the Parks and Wildlife Commission, to seek her reflections on the environmental achievements of the preceding quarter-century and on the then-building attacks upon many of them. One prominent example of that era’s assaults on environmental measures was the ultimately unsuccessful effort by Tom DeLay, a Houston-area Republican serving in the U.S. House of Representatives, to rescind the tougher, updated version of the federal Clean Air Act that had become law in 1990. The strengthened anti-pollution law had been championed by a Houston Republican who was then in the White House – the same George H.W. Bush who had heeded Hershey’s appeal to help preserve Buffalo Bayou more than 20 years earlier. Hershey’s comments in the 22-year-old interview bear revisiting, not just to learn some Texas conservation history, but because mid-’90s attacks against environmental laws are similar to developments today, as President Donald Trump and Republicans in the GOP-controlled Senate and House take aim at numerous environmental-protection regulations and programs. [Hershey] confesses to bewilderment at the past year’s successes by vehement critics of the major environmental laws that the first Earth Day helped inspire. Those victories contributed to [the election in 1994 of] new Republican majorities in the U.S. House and Senate. She said she hopes broadsides at environmental protection efforts prove to be a “blip” on history’s screen. Local industries, complaining of the added cost of reducing their pollution that they would incur in changing their ways, “were throwing their trash into the water and into the sky and it became a burden for all of us,” she said. She subscribes…to the broad concept known as “sustainable development” as the principle needed to meld economic productivity with conservation consciousness. Terese “Terry” Hershey was a financial contributor to Texas Climate News. The Jacob & Terese Hershey Foundation is a past and current supporter. All editorial decisions at TCN, a nonprofit news site, are made by our independent journalists without direction from our donors or others. 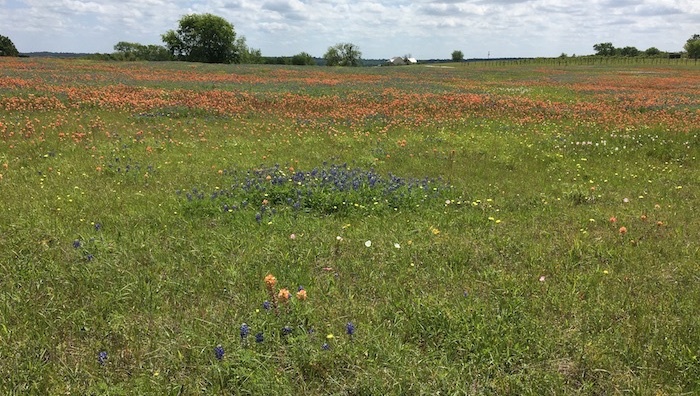 Image credits: Terry Hershey portrait – Jacob & Terese Hershey Foundation; Texas wildflowers – Bill Dawson / Texas Climate News.